October Afternoon Mini-Market alpha stickers! I still have several partially used sheets and dread when they will be gone. They are just the perfect size, lots of colors, wish they would come back! Topic: Help - Identify border punch / cutfile ? Re: Help - Identify border punch / cutfile ? Was paging through my handbook for the Cricut Ribbons and Rosettes cartridge, and there it was! Here's a link to the handbook. Your border is on page 39. Check your settings. I noticed the new sale (15% off) but hadn't gotten a newsletter with that info. Checked my settings and somehow they had been changed so I was unsubscribed! Very mysterious! Sheet pan dinner here tonight -- fresh green beans, potato chunks and sliced apple chicken sausage tossed with olive oil and a bunch of spices -- yum! Taco salads here tonight -- but I would rather have one of those banana splits! Happy to see this challenge return! I always check it out, even if I don't enter. Love your LO too. The colors are bright and cheerful, matching the happy vibe of the photos! Topic: What type of crafter are you? 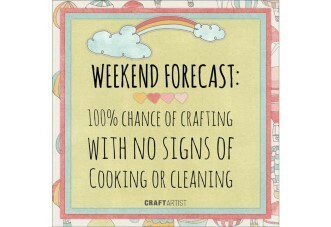 Re: What type of crafter are you? I am messy while working on a project, but when that is done I pick up … so I have room to make a new mess with my next project! Topic: March Card Challenge -- It's A Sketch! Winner! Re: March Card Challenge -- It's A Sketch! Winner! So happy to have won, thanks Rhonda for GC! Scary! Glad you are home and feeling better! Hopefully woman who need this help were watching!! Yes -- TV at its best, when it can make a difference in someone's life. Was so moving! I started crying when the women of the hospital all lined the hallway. Such a powerful statement about the difference women can make in each other's lives. Anybody else watch? What did you think? Re: March Card Challenge -- It's A Sketch! I don't think I will get this done in March but, definitely saving for future use! Glad you like the sketch! Topic: Which update to ya'll want to hear!?!? Re: Which update to ya'll want to hear!?!? So sorry for all you and your family are going through. Wishing you a better day today.